This is by far one of my favorite rooms in our home. The funny thing is the design and color of this room are very far from what I would normally go for. My mom convinced me that babies need color, so color we did. This rooms fits Carsons personality so well, so besides for my love of all white I am glad I went with color for his room! I cant wait to see all your beautiful kids rooms! little monkeys walk in closet, which I love! LOVE the rug with this room ~ it's PERFECT! I love this room! It is so cute and perfect!!! Oh this room is ADORABLE! I must say we share the same taste in clothes!! Such a cute room...I love all the details!! Such a little gentleman! Love his room and smocked clothes - that's how I dress my girls and it's totally how I want to dress a boy if I ever have one! very cute room! Love that rug! I love the nursery! Great color! Where did you get that rug? How fun! I love that rug and those pops of bright color. Sweet, sweet nursery! I love the wall color and the rug!! Love the rug, so much fun! And the litle shortalls are adorable. Very cute! I love the wall color and all the decor. I saw your blog comment on my girls rooms and wanted to drop in and say hello. 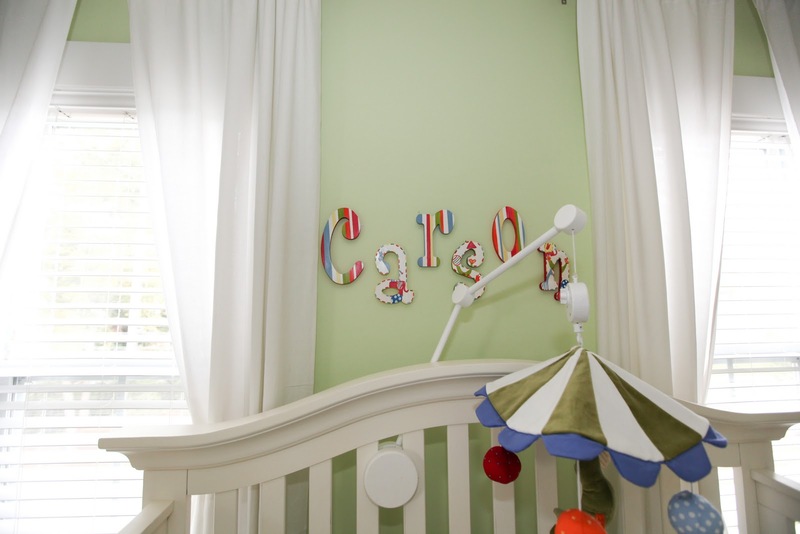 Carson's room is precious and your blog is adorable :). I love how you did the white furniture and the light walls with pops of color! It looks fantastic! I love the wall color and the super cute rug! Just have to chime in and say I love the rug too! It really looks clean and bright with the white mixed with some color- love! what a sweet room! 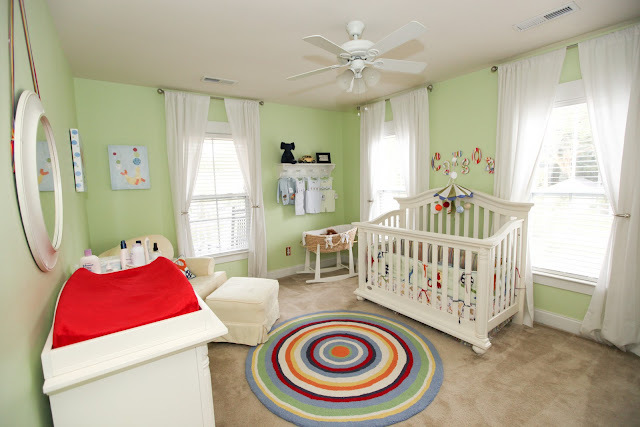 green is my favorite colore, and love the rug!